Helen Luco graduated from West High School at the age of 16 in 1943. One of her sisters was a teacher and two were enrolled in nurses training. Helen said that teaching didn't interest her so she decided to follow in the footsteps of her older sister. In addition, there was a great demand for nurses because of World War II. She applied for nurses' training in Waco, but she was turned down because of her age. Her oldest sister was in the Army, and she offered to pay for Helen to attend college. She went to North Texas State Teacher's College in Denton, Texas. She spent a year there taking classes that would help her in nurses' training. Helen's professional training was paid for through the U.S. Cadet Nurse Corps. 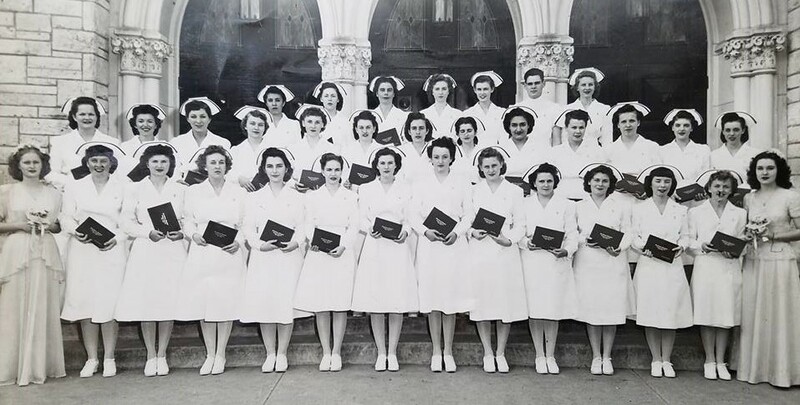 According to the U.S. Cadet Nurse Corps website, "the Cadet Nurse Corps was a massive and important federal program for the training of American nurses during the second World War. Cadet Nurses were the largest and youngest group of uniformed women to serve their country. It was a time when nursing students lived together in nurse residences, when the boys went off to ware, and when Cadets dared for civilians at home and those who returned home after being injured in battle." Helen reapplied for nurses' training at Providence Hospital in Waco and was accepted. She was also accepted by the U.S. Cadet Nurse Corps. In the beginning, she received a monthly stipend of $15. From 15-21 months, the stipend was $20 per month and increased to $30 permonth as a senior cadet. About sixty students enrolled in the class, but only 33 completed the course of study. Because Providence was a Catholic hospital, the students were required to attend chapel every morning. Following that, there was inspection of uniforms by the nuns. Helen recalled being taken aside because her shoe strings were not clean enough. Most of their time was spent in class. There was no disposable equipment so students were taught sterilization methods using an autoclave. They rotated through different hospital units. While at Providence, Helen lived in the nurses' quarters, which was a room full of girls supervised by a house mother. They ate in the hospital dining room. There wasn't much time for fun, and Helen only saw her family if they came to visit her. She was in training for three years and at the end of that time, the students traveled to Dallas to take the State Board exam. She said that it seemed like an eternity before the grades arrived, but when they did, there was a lot of whooping and hollering by those who passed and some crying by those who failed. After graduation, Helen tool some time off and did private-duty nursing. She applied for a job at the VA Hospital in Temple, Texas, in 1948. U.S. Army McCloskey General Hospital was transitioning from an army hospital to a veterans' hospital to receive the amputee veterans from the second World War. She began her career at the VA Hospital on September 20, 1948. 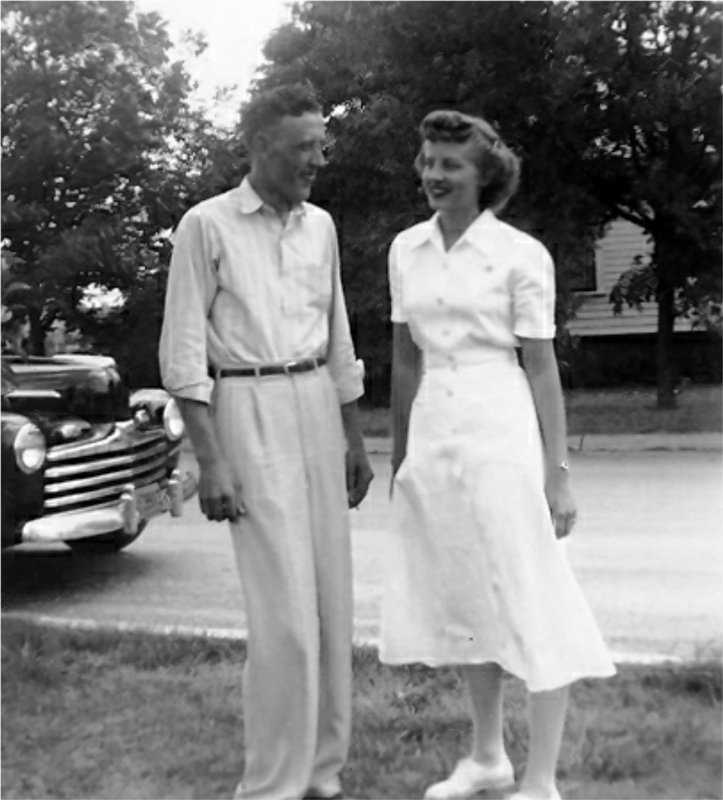 She met Aubrey Lee Woolley, who was a nursing assistant, and they married in 1950. They each worked for the Veterans Administration for 30 years.